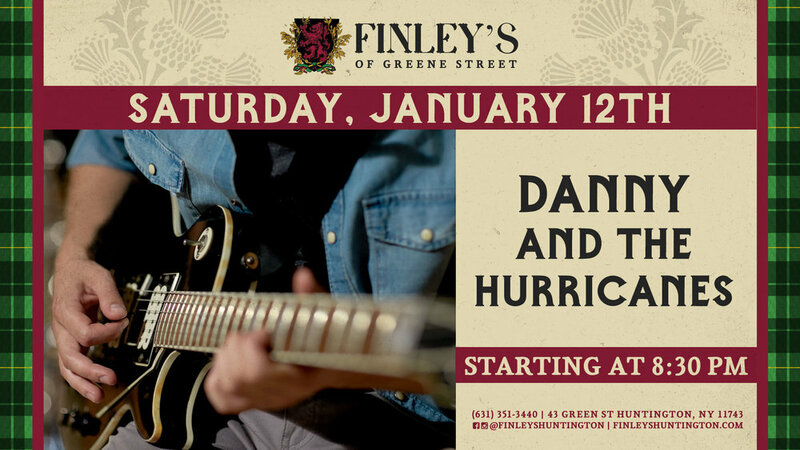 Check out Danny and the Hurricanes when they perform for us right here at Finley’s! Afterwards, we’ll also have DJ Charizma laying down some sweet tracks. Music starts at 8:30pm.